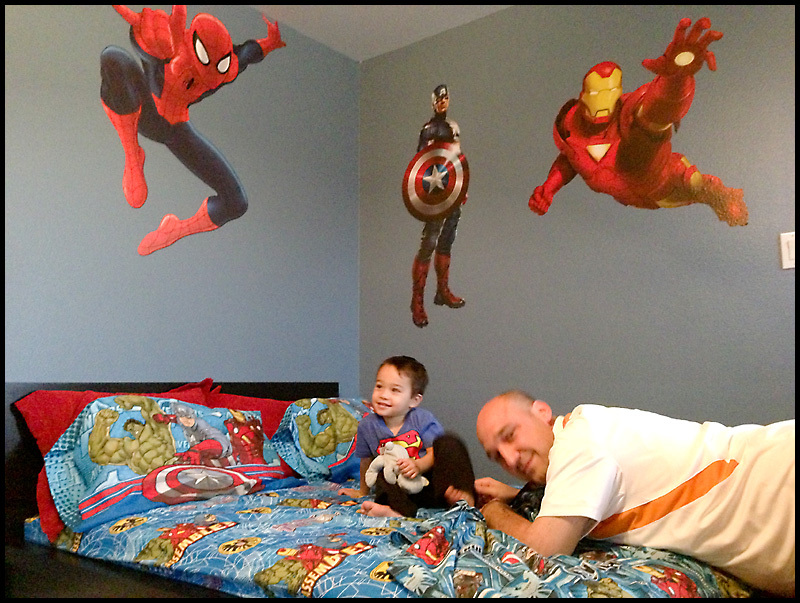 This holiday, we said good-bye to baby cribs and hello to a new super hero big boy room! 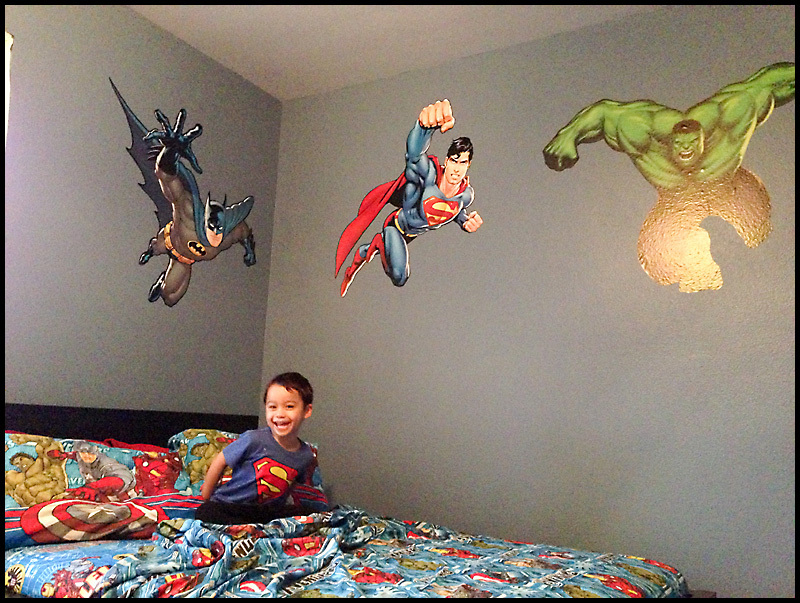 While the boys were in school, Evan and I worked quickly to put the room together. 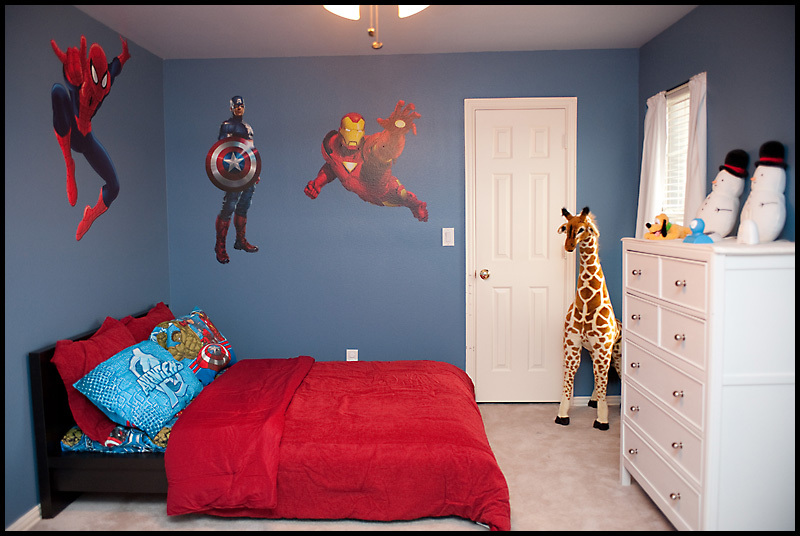 We had the walls painted blue about a week before but kept the beds, bedding, and wall decals a surprise. Here are the end results. We were so excited to show them their room! 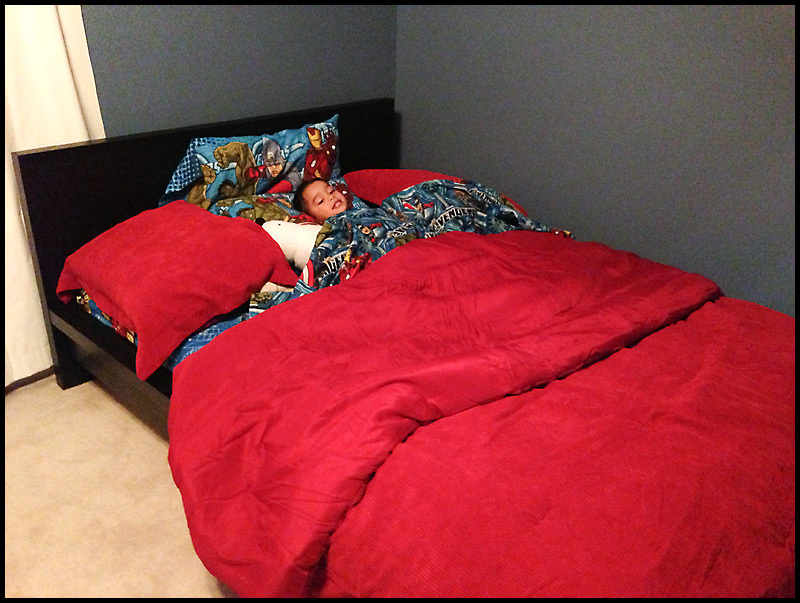 Looks like the beds are pretty comfy! 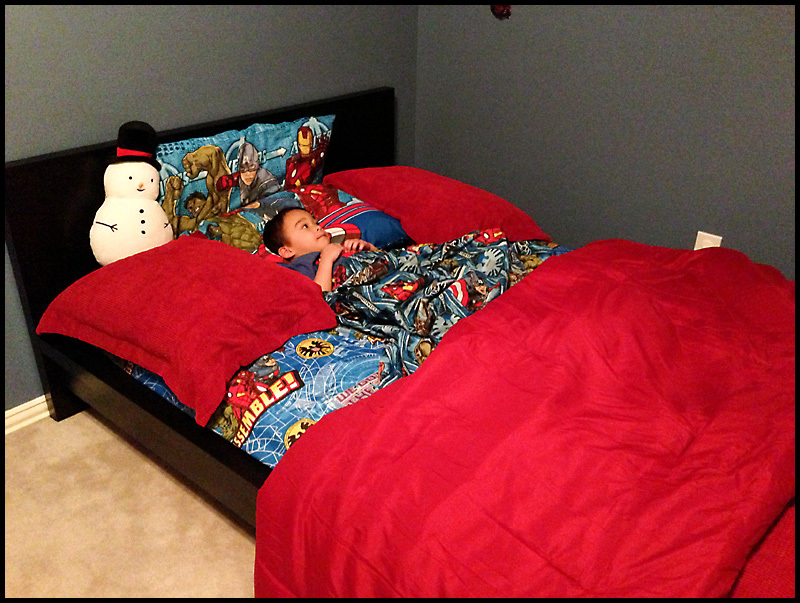 That night, before bed, we placed their extra pillows on each side of them to help avoid anyone falling off. 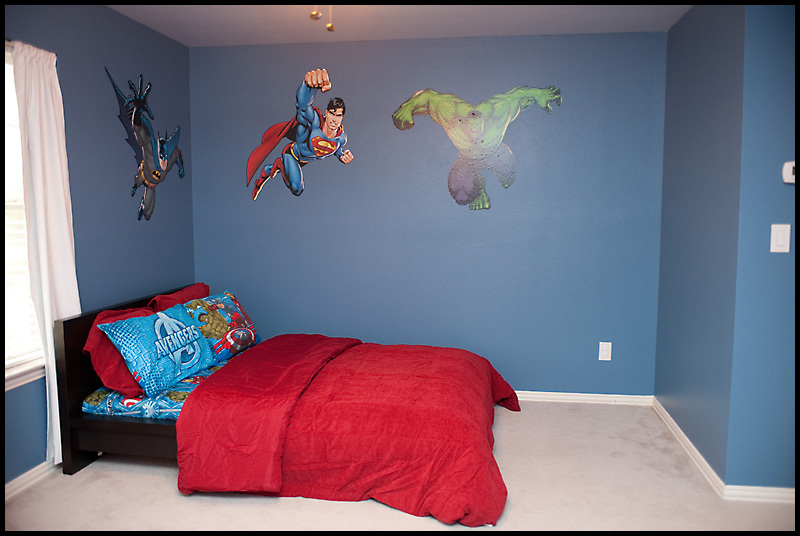 I was kind of afraid that the super heroes on the walls would look scary at night in a dark room, so we told the boys that the super heroes are there to protect them while they're sleeping! 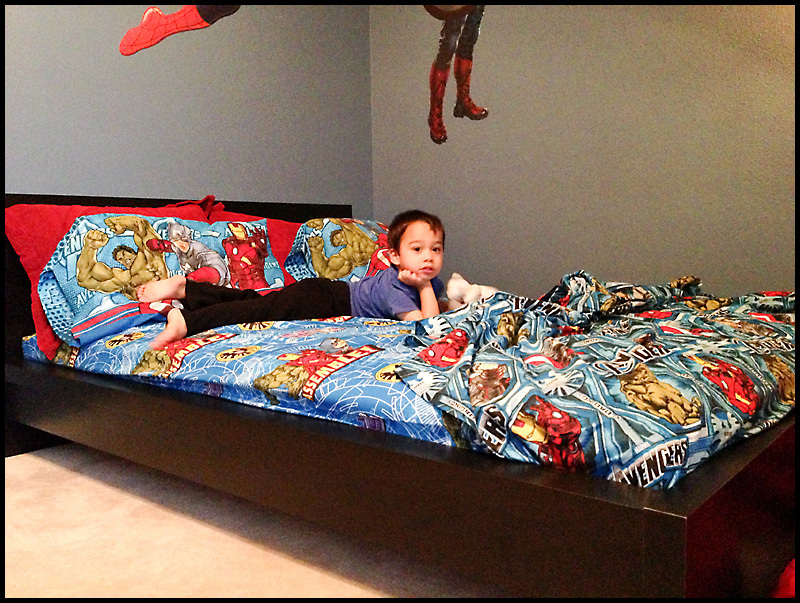 It took weeks of shopping, hiding, and planning, but it was definitely worth seeing their excitement! 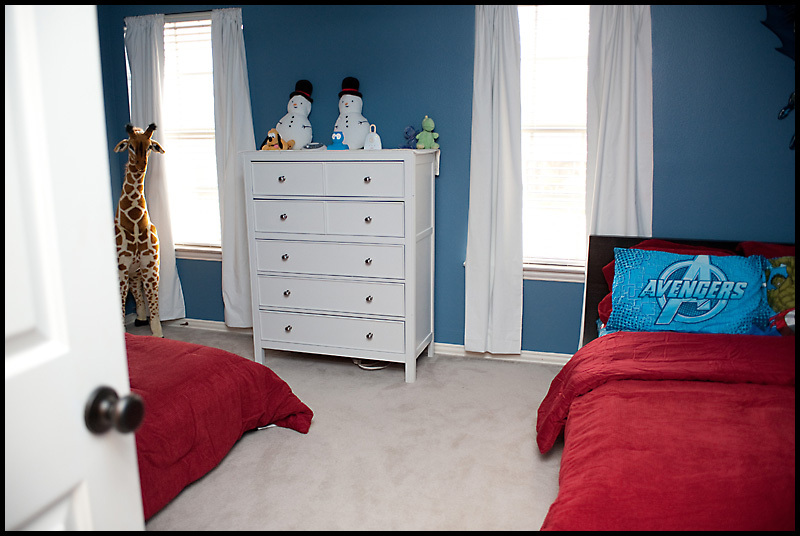 I'm still in search for the right curtains, and eventually, we'd also like to add some red shelves to the room. 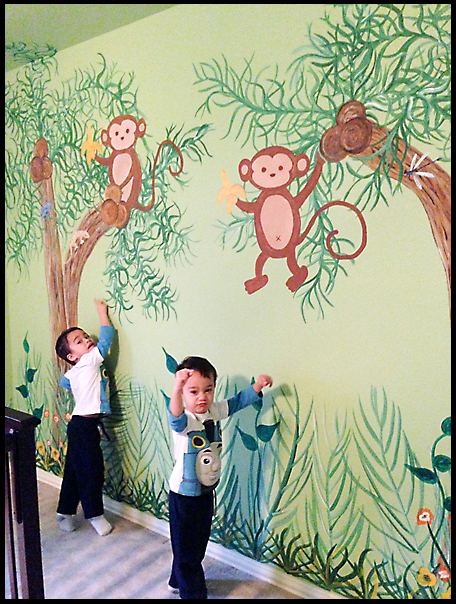 Here is one last picture of the boys saying good-bye to their mural right before the painters arrived. 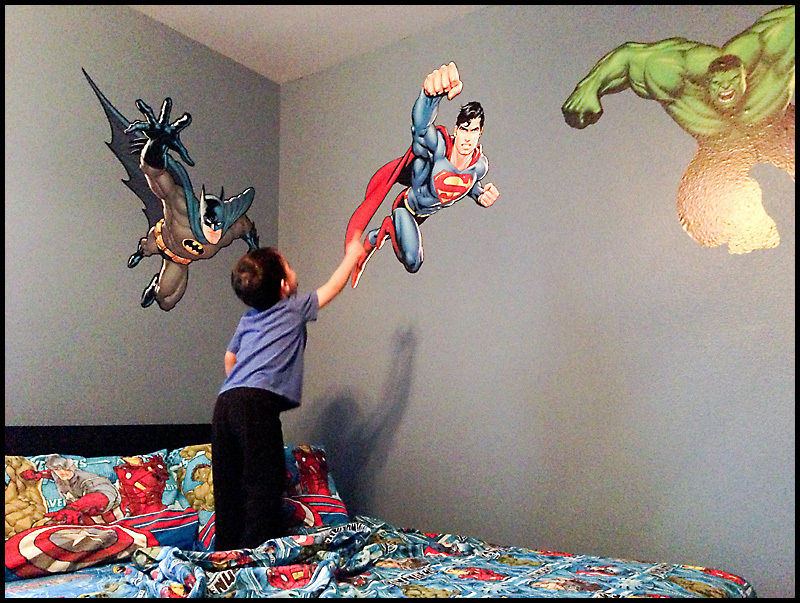 From monkeys to super heroes... our boys are growing up way too fast!